I am stoked to announce the release of Token Tales by Mark Rapp. This is my first major release CD cover and to have been chosen by one of the top new generation jazz trumpet players for his first album art is very special. 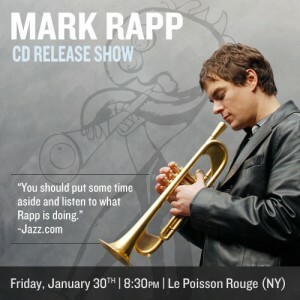 Paved Earth Music will present Mark Rapp, the OFFICIAL Paved Earth Music, Synergy/IODA CD release show! You don’t want to miss this show, so if you are in or around NYC check it out. Le Poisson Rouge is one of New York’s BEST – awesome stage, room, lightening, sound – super bad! 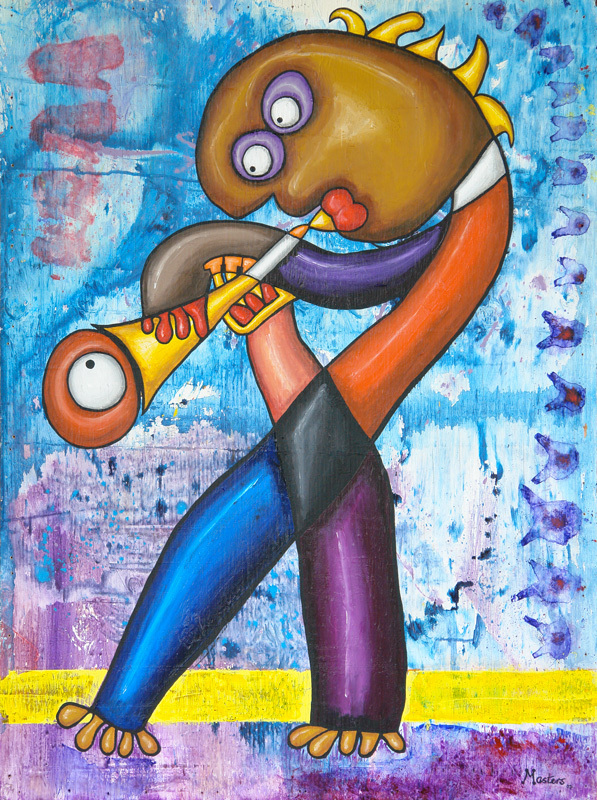 Not only has Mark used my art on the cover but the Trumpetman character also appears on the CD itself together with lots of publicity materials. As you may know, one of my passions is music…especially jazz…and so it has been a dream of mine since becoming an artist to lend my look to album cover art. To be able to achieve this with such an awesome player is truly the icing on the cake. I encourage you to check out Mark’s website and also get to hear his wonderful new album. “On his new album, Token Tales, Mark Rapp displays his knack for producing crisp melodic lines with both flair and a down-to-earth sensibility that intuitively gets the listener grooving. In composition and playing, Rapp is a revelation and one of many young innovators who hold a key to the future of jazz in the present tense. In one word, Token Tales is ALIVE.” – Lisette Corsa, Global Groove Connection. You should put some time aside and listen to what Rapp is doing. – Walter Kolosky, Jazz.com.